People judged pictures of models whose eyes were digitally adjusted. Blue is the most attractive eye colour, but only for some people, research finds. Blue-eyed men are particularly attracted to blue-eyed women, the researchers found. However, women showed no preference for blue or brown-eyed men and brown-eyed men showed no preference either. The conclusion comes from a study in which 443 people looked at pictures of models whose eyes were digitally adjusted. All the people in the study were Caucasians from Norway. The study might help to explain a stereotype about blue-eyed people. Blue eyes are often said to be more attractive, but when this is tested, the preference is hard to detect. 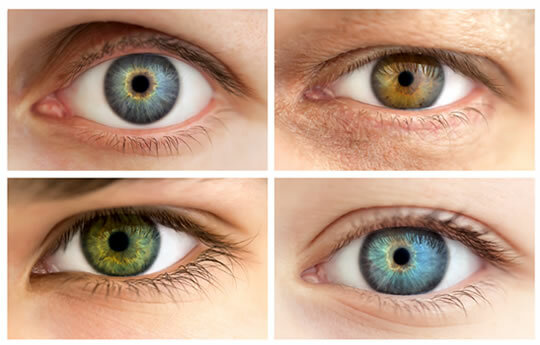 Another later study has found that people mention blue eyes being more attractive, but when it is tested, they are not especially attracted to blue eyes. In other words, if you have blue eyes and so does your wife, then a brown-eyed baby spells bad news for your paternity. The studies were published in the journals Behavioral Ecology and Sociobiology and Aesthetic Plastic Surgery (Laeng et al., 2007; Gründl et al., 2012).